We appreciate your feedback about your support experience with WooCommerce, developers of Petshop. This helps us maintain high standards on the WooMarketplace, and helps WooCommerce improve. 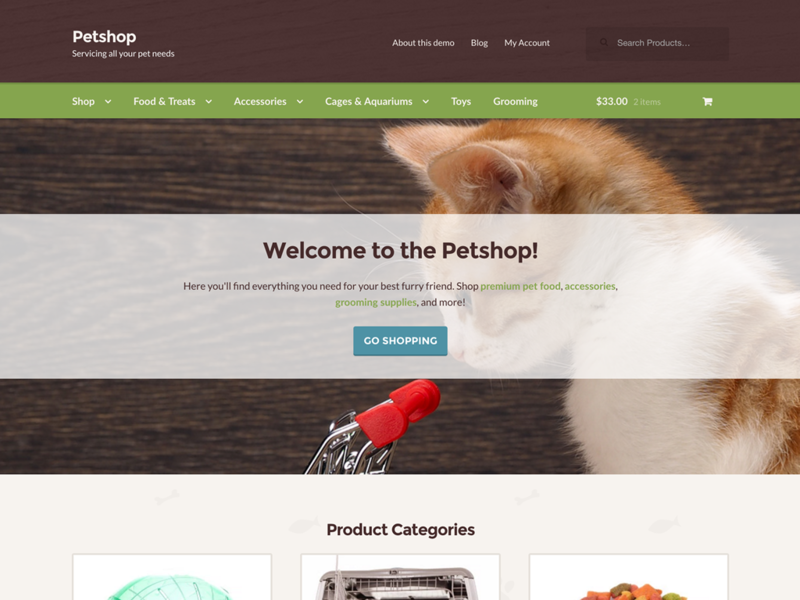 Petshop is a Storefront child theme designed for stores selling products in the pet industry. The design is organic and friendly, featuring many details that point to pet ownership.